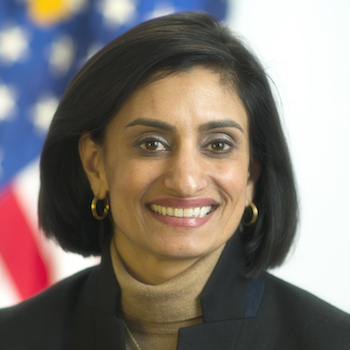 The Centers for Medicare & Medicaid Services (CMS) has been busy implementing new telehealth plans because officials believe telemedicine can sustain Medicare and improve patient access, CMS Administrator Seema Verma, MPH, said in a speech yesterday. Telehealth gives patients a new way to access care, connects patients with doctors and provides a lifeline for those in rural areas that have a limited number of healthcare providers and specialty services, she said. Additionally, it can help improve the value of care by increasing its quality while lowering its cost. Patients with chronic conditions have more control in maintaining their health outside of the hospital setting, and telehealth provides them the ability to connect more frequently with their care team from home. “[Telehealth] gives the patients another way to access care and puts them in the driver’s seat as they seek out new options,” Verma said. CMS has taken action in several ways. For the first time, Medicare will begin paying for virtual check-ins for all patients, virtual consultations between physicians and evaluations of remote pre-recorded images and video. Further, Medicare patients receiving home dialysis may undergo monthly clinical assessments via telehealth platforms. These virtual check-ins will resolve patient concerns in a manner that is convenient to both the doctor and patient, avoiding unnecessary costs, Verma said. For example, virtual consultations will allow patients to text a picture of a mole on their skin to a dermatologist for examination. “These are exciting changes which will increase access to care, give patients new choices and foster the type of innovations we need to strengthen Medicare and ensure its sustainability into the future,” said Verma. Congress authorized Medicare’s Telehealth Benefit in 1997. The law meant that Medicare could not pay for telehealth when patients are in urban areas and can only if the patient went into one healthcare facility to connect to a distant doctor remotely. Sometimes, Medicare patients still cannot get telehealth from their homes. Verma highlighted one successful telehealth application that could hint at the future of healthcare. The Cleveland Clinic, she said, uses remote patient monitoring from a central hospital command center. “Their model uses a ‘mission control’ operation where off-site personnel use sensors and high-definition cameras to monitor patients and assimilate data to trigger on-site intervention,” said Verma. The clinic also sends paramedics to seniors’ homes and connects them to doctors virtually, allowing doctors to see more patients in less time. Remote patient monitoring can dramatically increase efficiency, improve clinical outcomes and send live-time data back to clinicians, Verma said. Combine the green light for telehealth payments with advancing tech, and Verma said healthcare is on the verge of some major improvements. Through wearable technology, for instance, doctors can learn what’s going on with their patients outside of the exam room. “Healthcare innovation is in fact serving as a catalyst to improving quality of care, enhancing access to care, increasing efficiency in the system, and lowering healthcare costs,” Verma said. Is Digital Health the Future of Healthcare?